(94) Photos Printable Brochure Apply For Credit Schedule A Test Drive Text Us About This Vehicle! 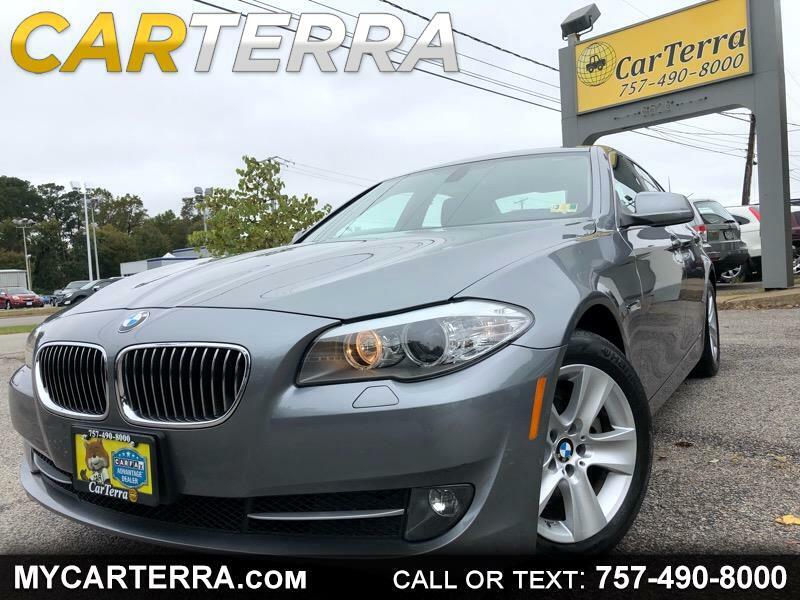 This gorgeous LOW MILEAGE 2011 BMW 5- Series 528i is a seamless blend of style and performance! It is loaded with plenty of powerful features like cruise control, keyless entry, alloy wheels, air conditioning, power door locks, electric brake assistance, run flat tires, limited slip differential, rain sensing wipers, trunk anti-trap device, passenger adjustable seats, separate driver/passenger climate, heated exterior mirror, trip computer, tachometer, leather steering wheel, fog lights, side head curtain airbag, subwoofer, tire pressure monitor, front power memory seat, traction control etc. Shiny gray color exterior, no dents or scratches and the interior is high quality black leather, well-kept and clean. Drives smooth! Freshly serviced and inspected. Great Mileage, Clean Carfax and ready for a test drive today!